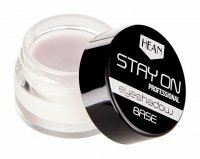 Eye Shadow Base 24H Magic Stay by EVELINE. Base for shadows. 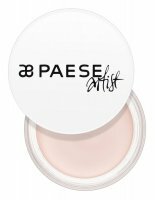 It extends the durability of powders on the eye, up to 24 hours from application, while intensifying their color. 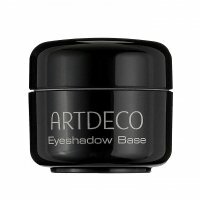 Applied to the eyelid, it smoothes, nourishes, moisturizes and firms. The skin becomes tense and regenerated, thanks to which the applied shadows do not roll up and do not collect in the break of the eyelid. Enriched with a cocktail of youth vitamins A, E and F, it activates and improves cellular metabolism, thus preventing the formation of new wrinkles. In addition, the extract from the skylight removes soothing irritations and soothes. 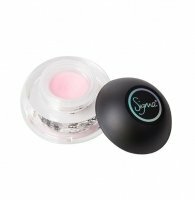 The whole has been placed in a handy package with a sponge applicator for easy application. Extends the durability of the eye makeup. Intensifies the color of applied powders. Removes wrinkles and prevents their re-formation. Provides an easy and precise application.